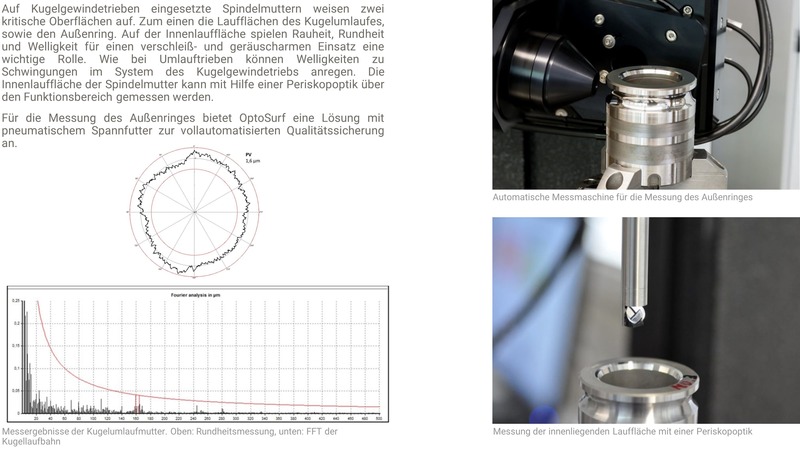 In contrast to a purely dimensional measurement, measuring surface roughness is a complex task. 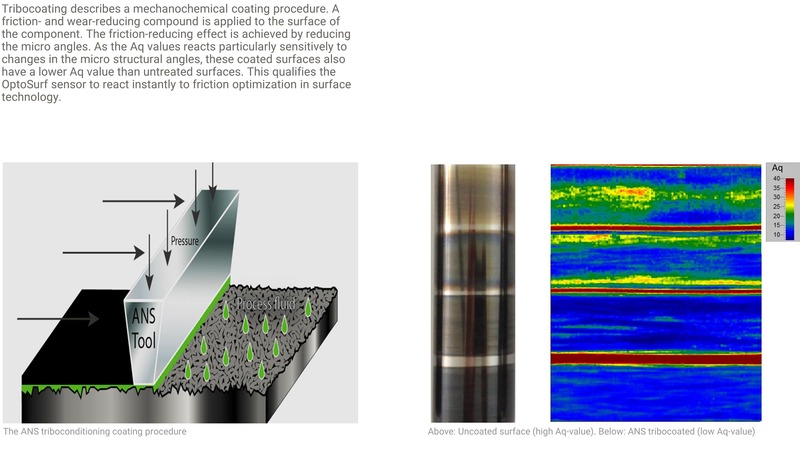 Traditionally a diamond stylus is dragged across the surface and a trace profile is created. 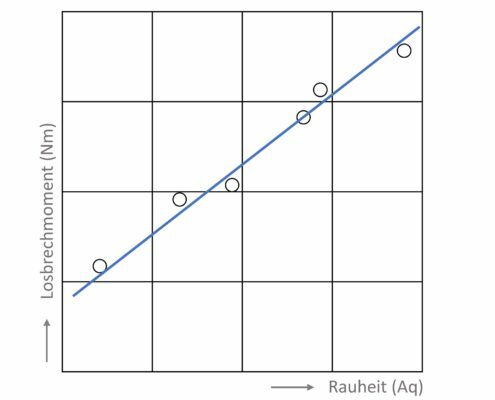 Generally, profile height-dependent characteristic values like Ra, Rz or Rk are determined. 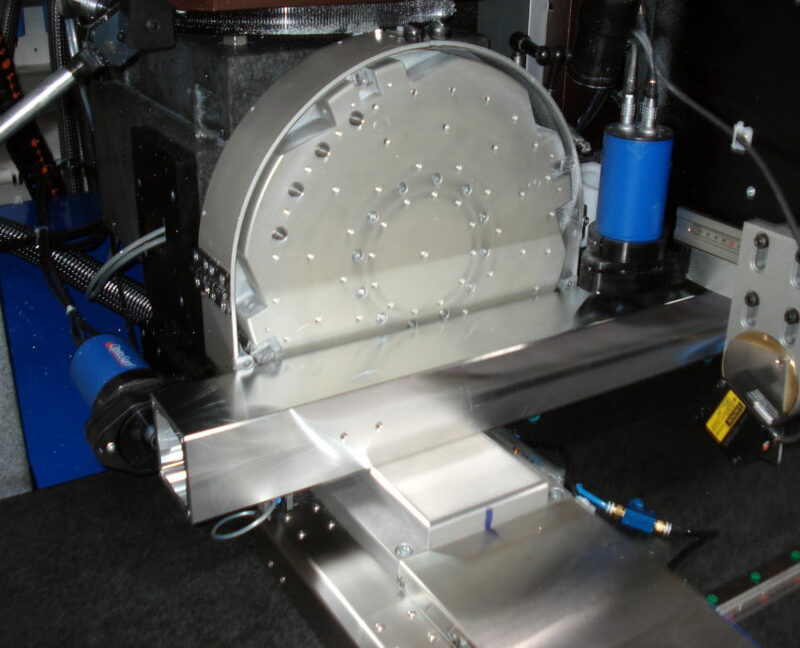 Although this is a widespread technology, its usefulness is limited when measuring finely machined surfaces with Rz-values < 1 µm. 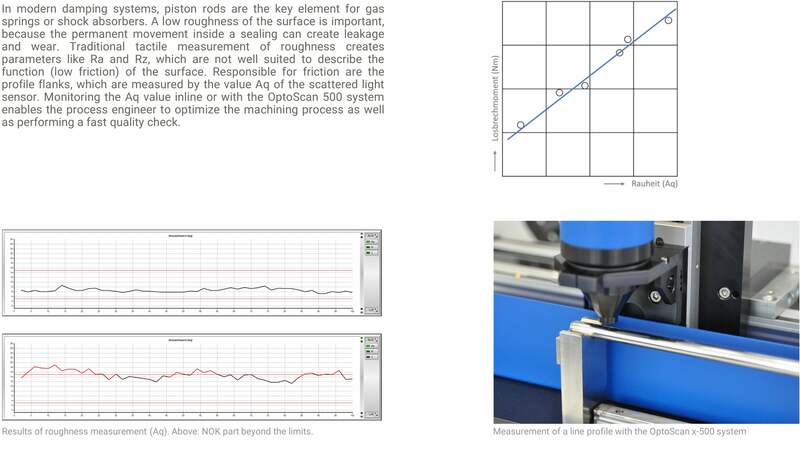 Moreover, functional behavior characteristics like friction, gloss or adhesive properties are difficult to measure with this technique. 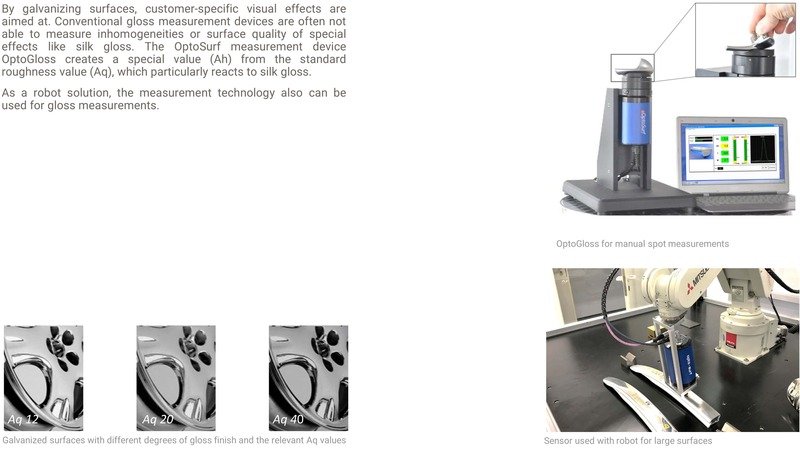 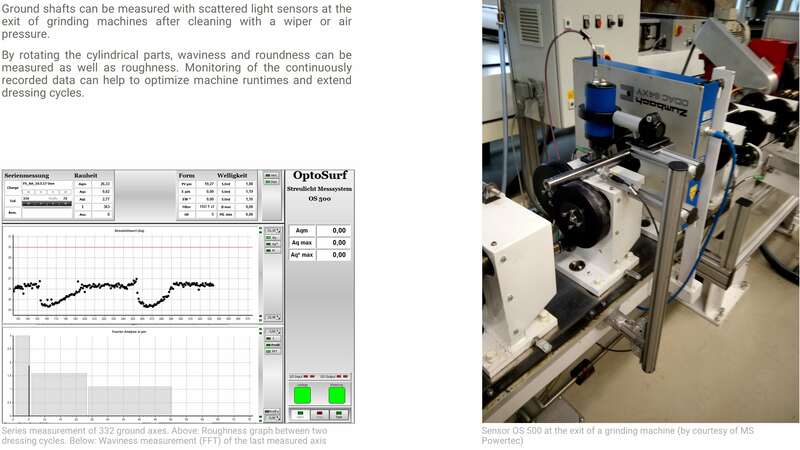 Scattered light technology offers numerous advantages, especially for the measurement of these types of surfaces. 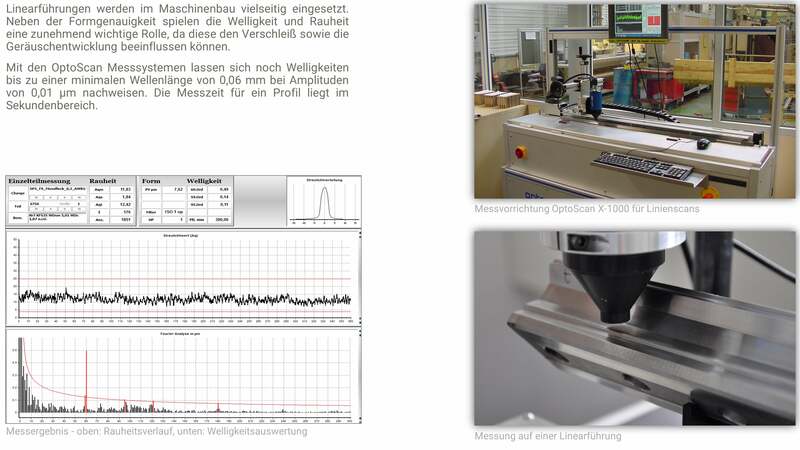 Instead of a trace profile, the surface information is gained by measuring the deflected micro angles. 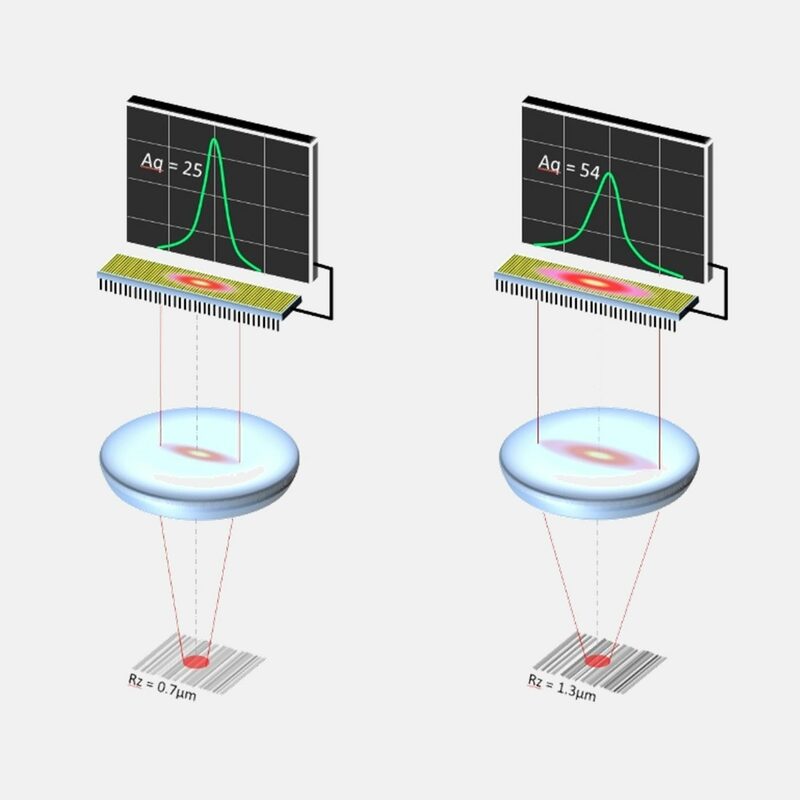 With this technique, a rougher surface will result in a more widely scattered light curve. 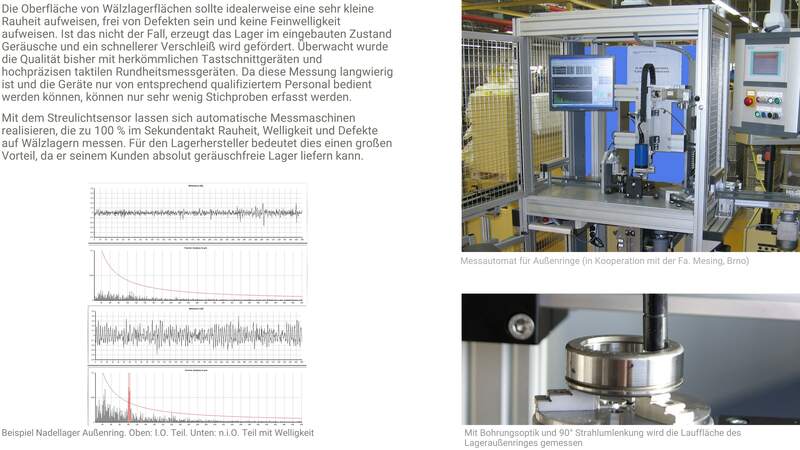 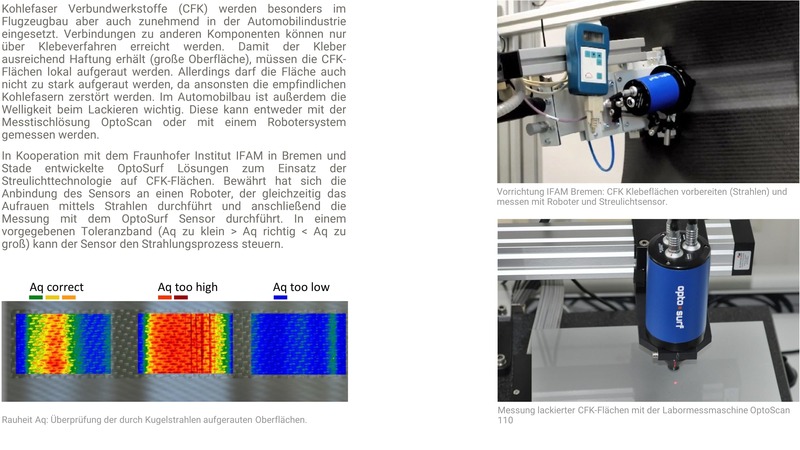 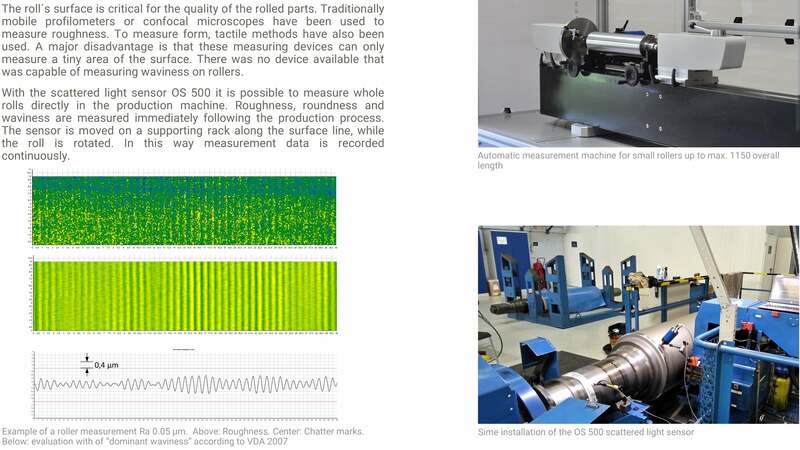 This measurement method is recommended in VDA2009 for production methods in the automotive industry. Its lack of sensitivity to ambient vibration, and a relatively high insensitivity to changes in measuring distance make the scattered light method suitable for use in a shop floor environment. 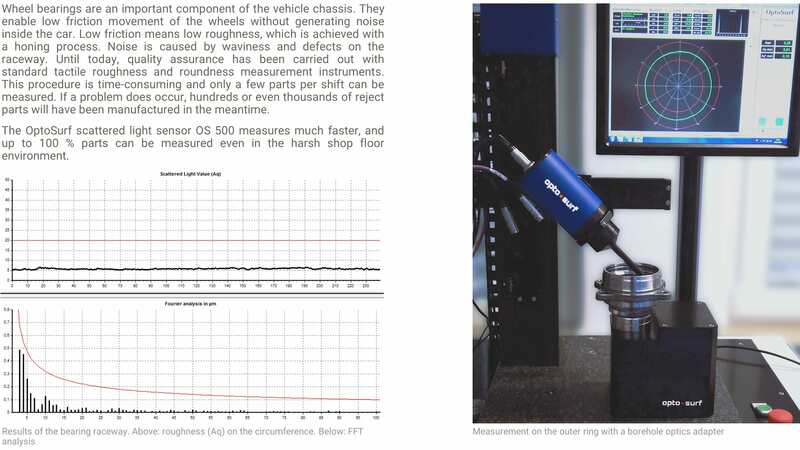 Thanks to high measuring speeds, up to 100 % of all parts can be measured. 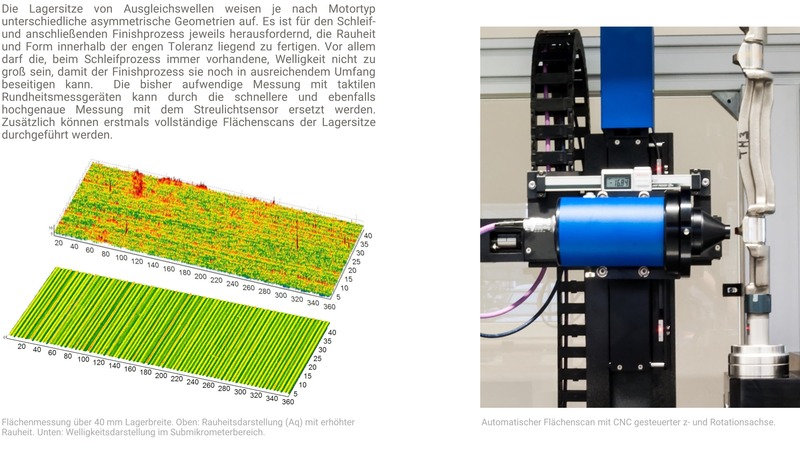 The sensor opens up possibilities for tool condition monitoring using the gathered data. 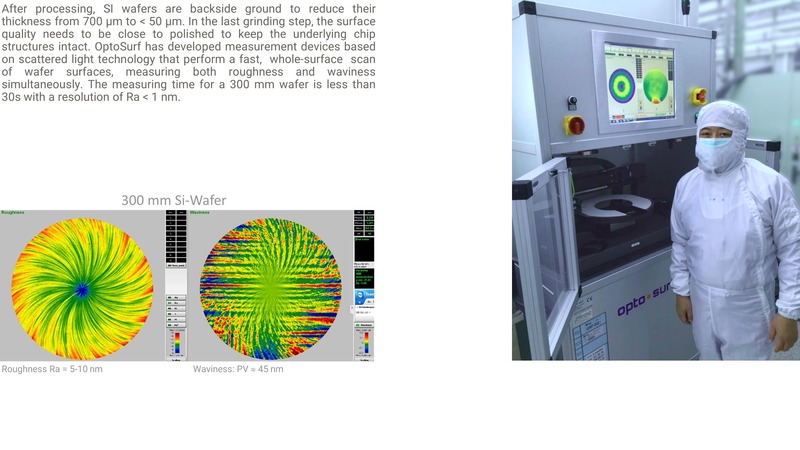 This helps to save production costs while assuring the highest quality. 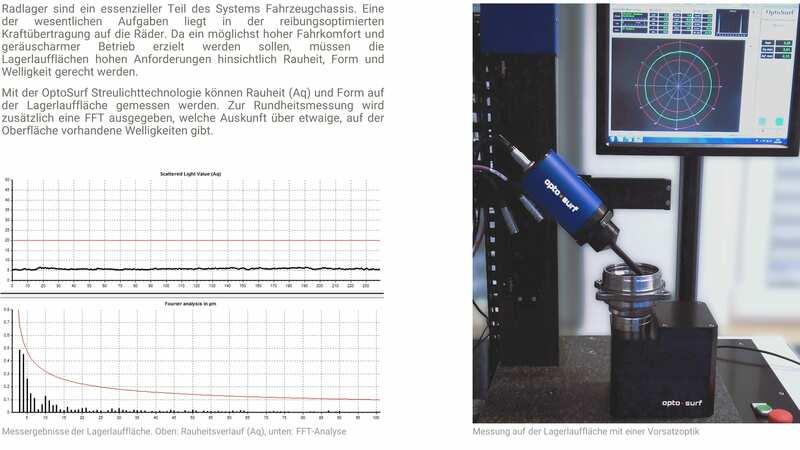 The sensor system’s high measuring sensitivity makes it ideal for measuring finely-machined surfaces with high functional demands. In many cases, conclusions can be drawn about the friction behavior (e. g. stick-slip effects) of surfaces, which relates directly to the micro angle information gathered. 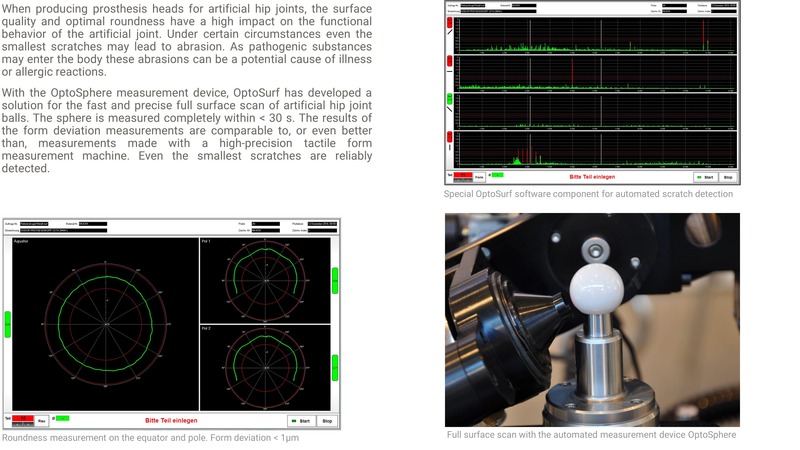 OptoSurf has already been able to perform correlations with functional behavior for a wide range of different parts. 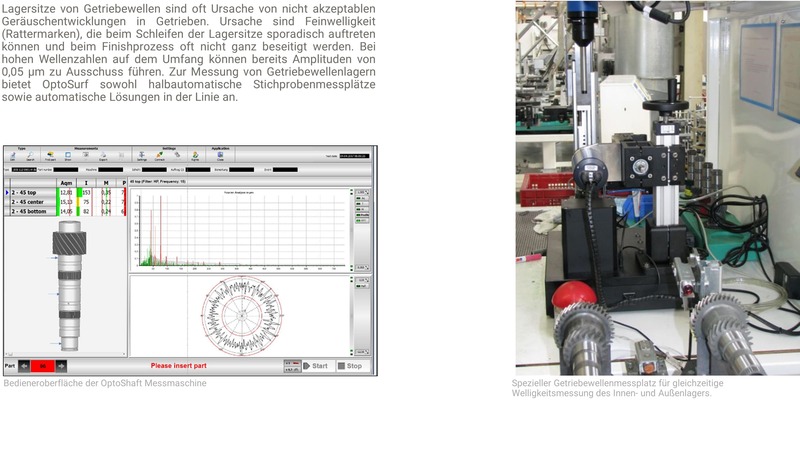 Working on the deflection principle, the sensor can also measure the surface’s macro structure. 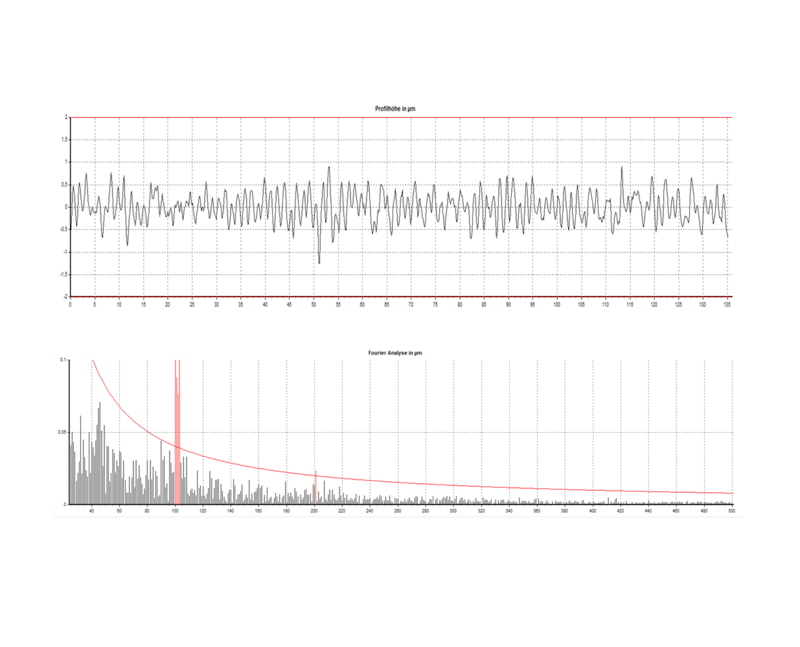 In this case, the absolute form deviation y=f(x) is calculated as a ratio of the angle of deviation (M) to the set and known scanning length Dx. This principle allows roundness deviations < 0.2 µm to be measured simultaneously to roughness and waviness. 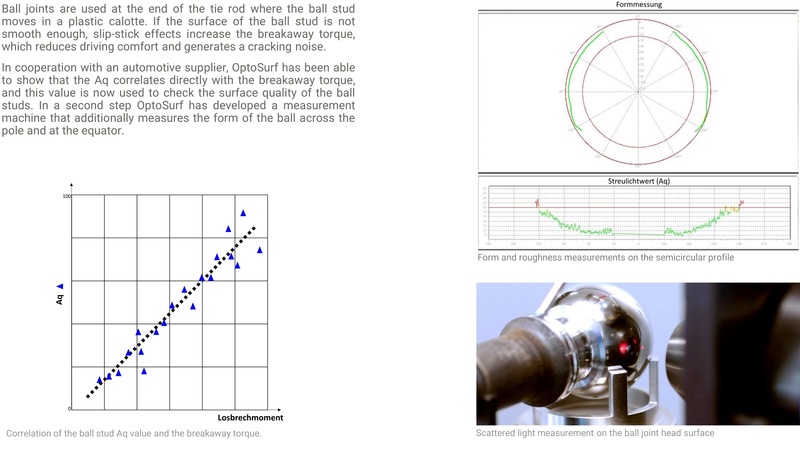 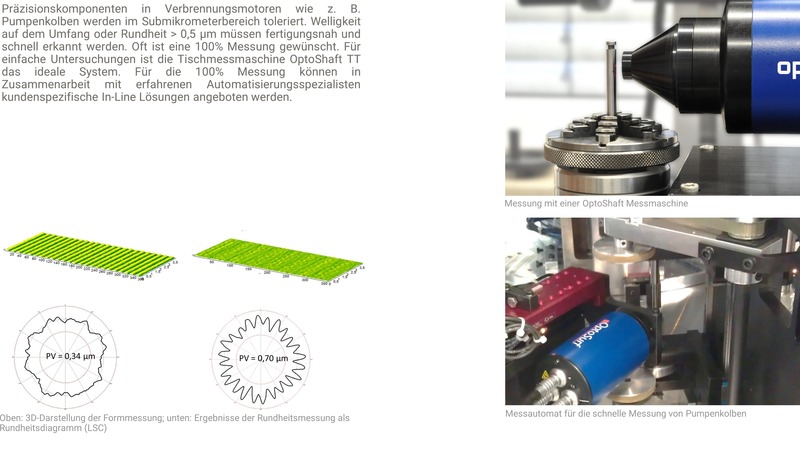 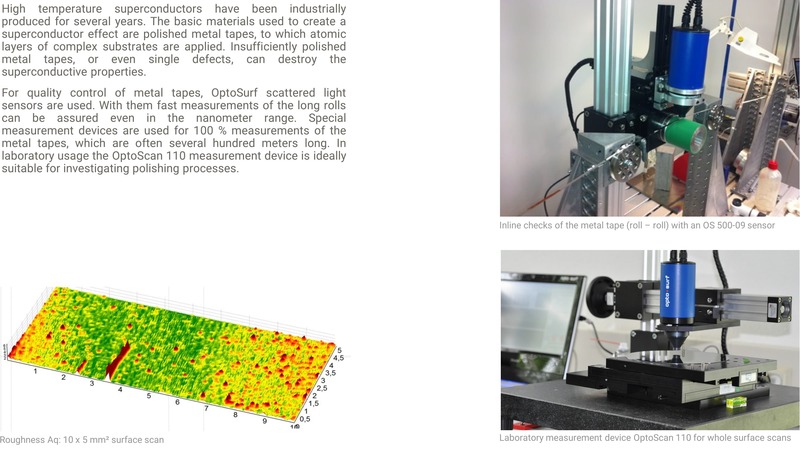 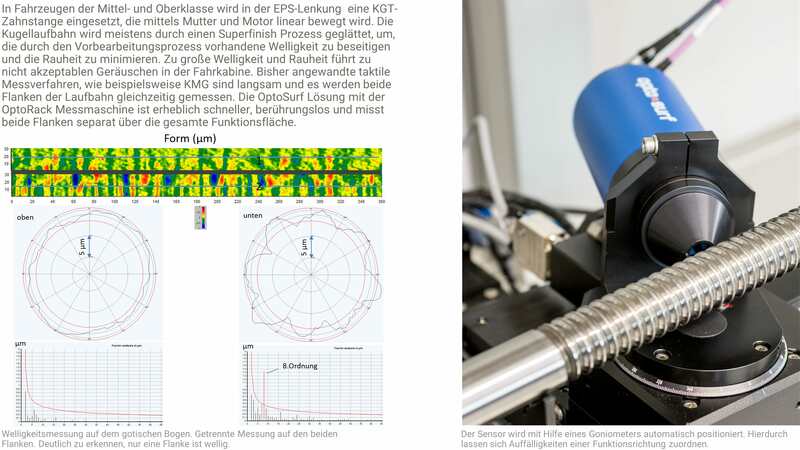 The OptoSurf form measurement results are comparable to the results of high-precision coordinate measuring machines. A method used for measuring waviness is the FFT (fast Fourier transform). 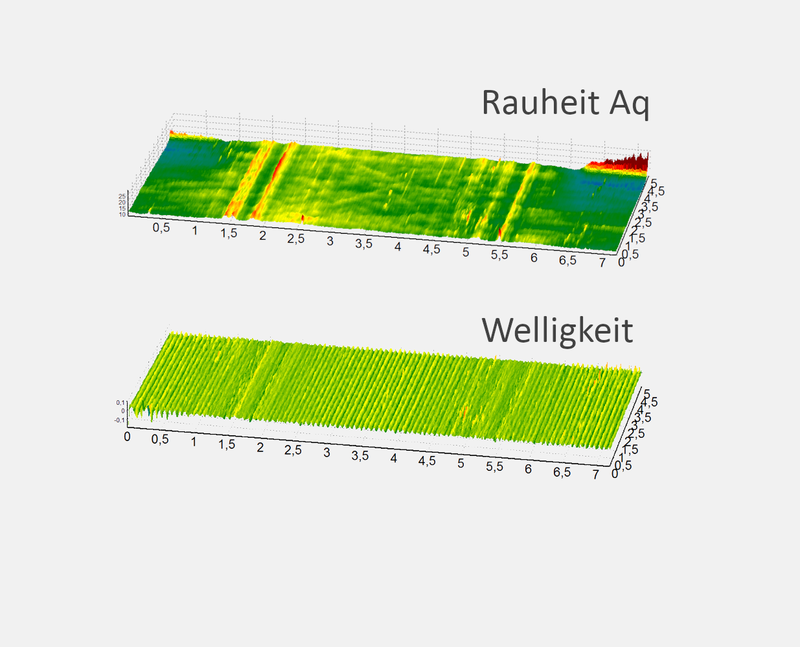 Using this method, waviness with amplitude levels < 0.02 µm can be traceably measured. 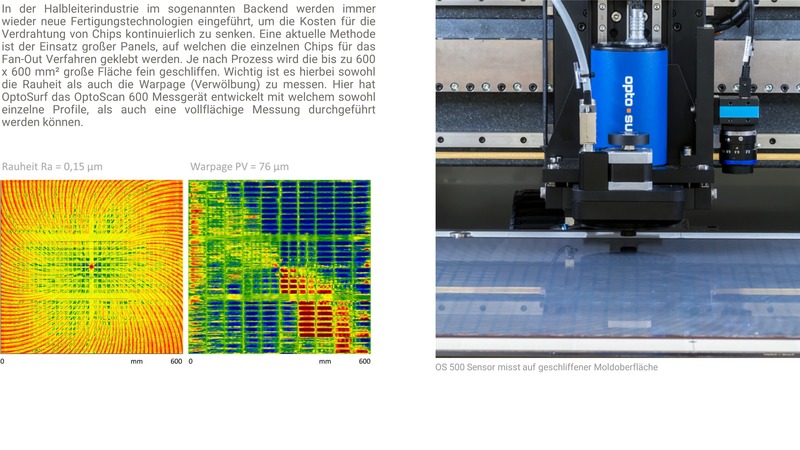 A special software component displays the assigned frequencies up to the 500th order. 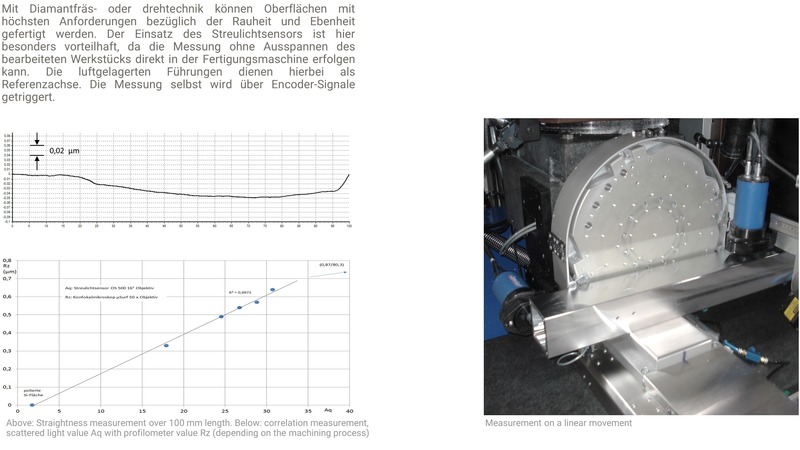 As well as quality control, the data obtained can be used to optimize machining processes. 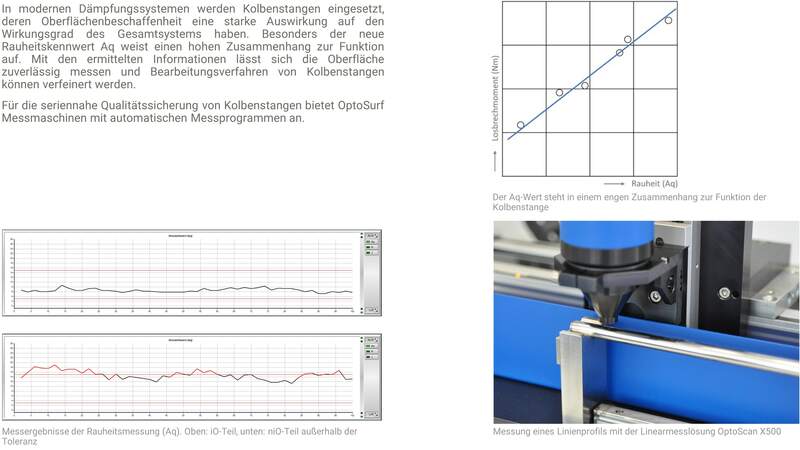 Based on product and customer specific limit values and curves, NOK parts are automatically sorted out in inline measuring machines. Scattered light is the first technology to measure whole functional surfaces and display the obtained data in a 3D graphic. 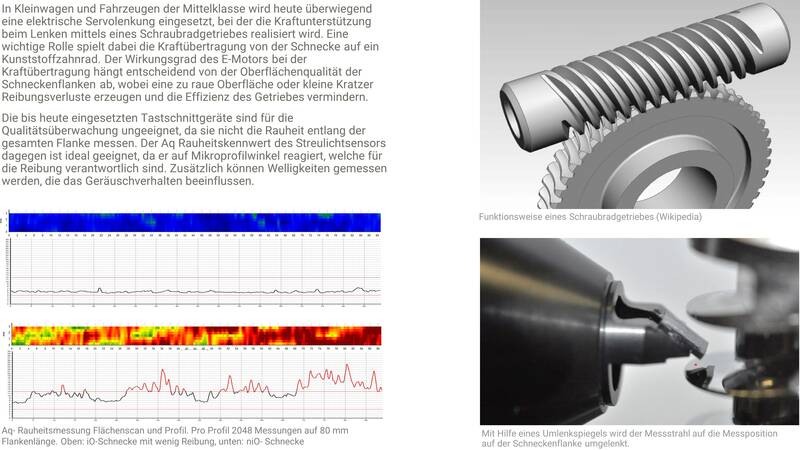 This allows conclusions to be drawn on the homogeneity of processes and gives new scientific insights into noise reduction, for example on gear shaft running surfaces, by simultaneously measuring waviness.